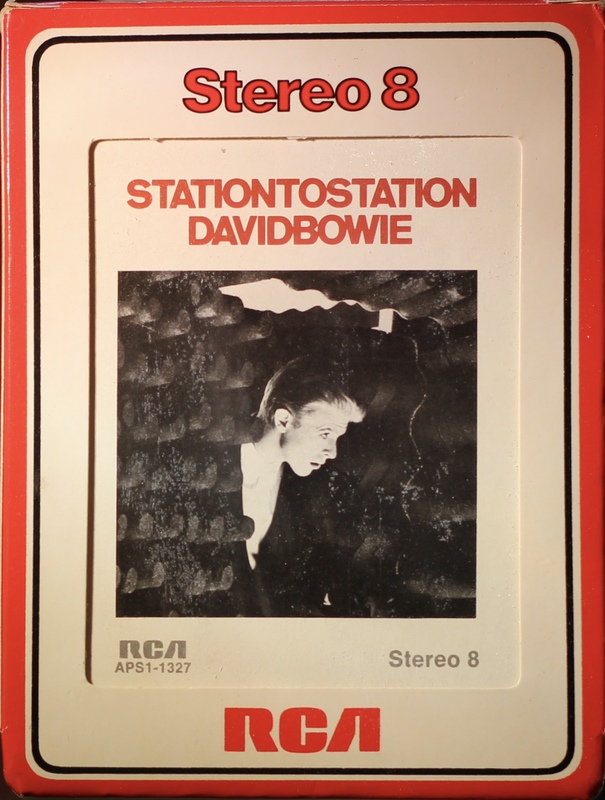 Station To Station; Canada; RCA; CPS1-1327; 1976. Gold box sleeve with black border to cover picture. 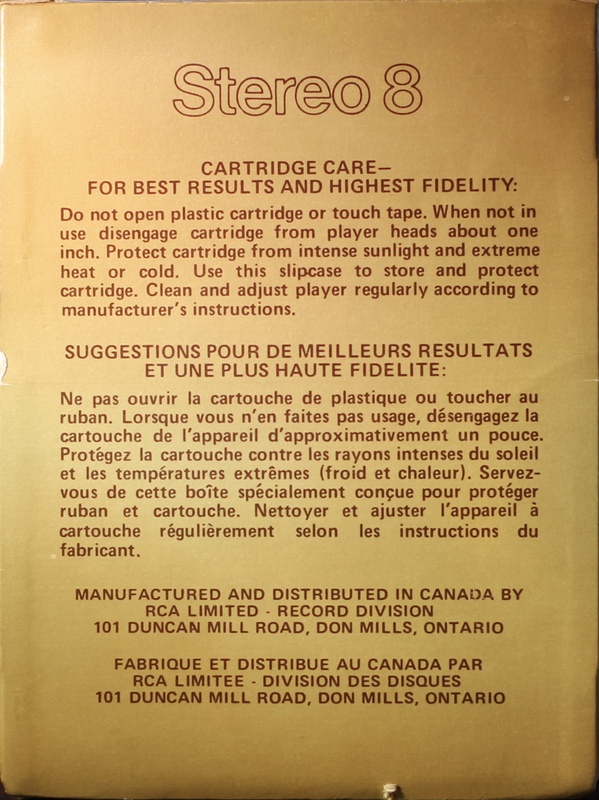 ‘RCA’ on the top of the front panel and the top and side panels show ‘Stereo 8’. Warranty and Care information is on the rear sleeve. 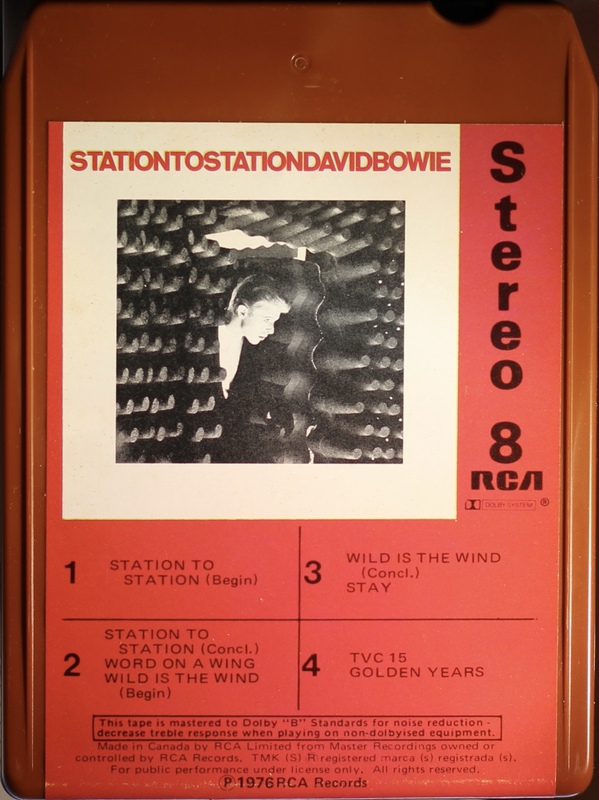 Brown 8 Track stereo cartridge with cover picture on the front and blank rear. 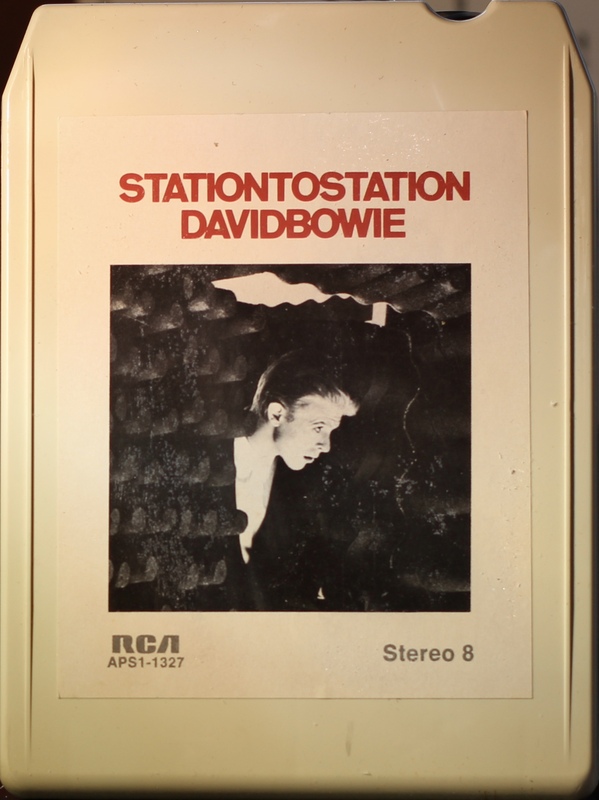 1: Station To Station (Part 1). 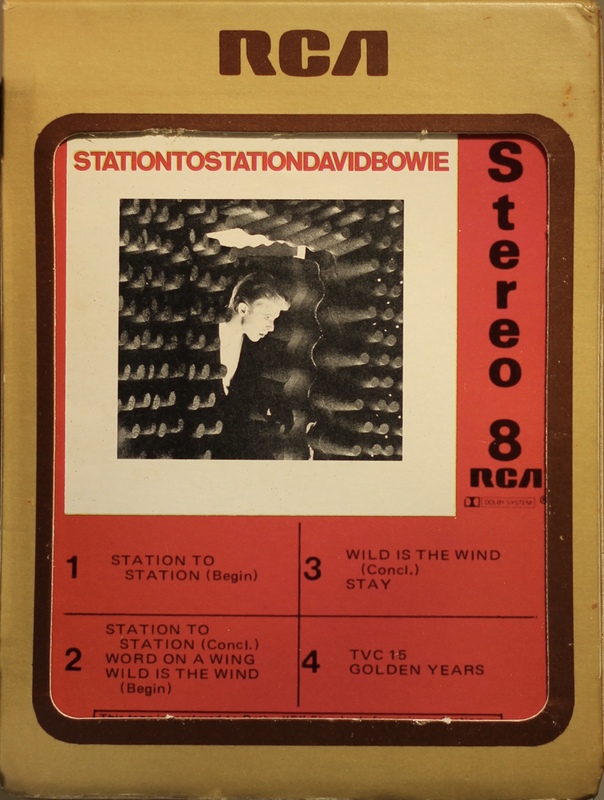 2: Station To Station (conclusion); Word On A Wing; Wild Is The Wind (Part 1). 3: Wild Is The Wind (conclusion); Stay. 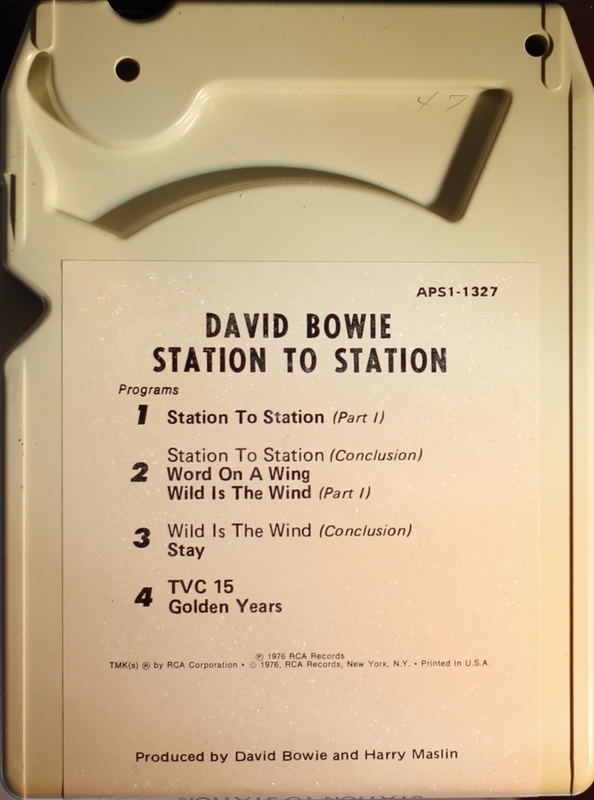 4: TVC 15; Golden Years. 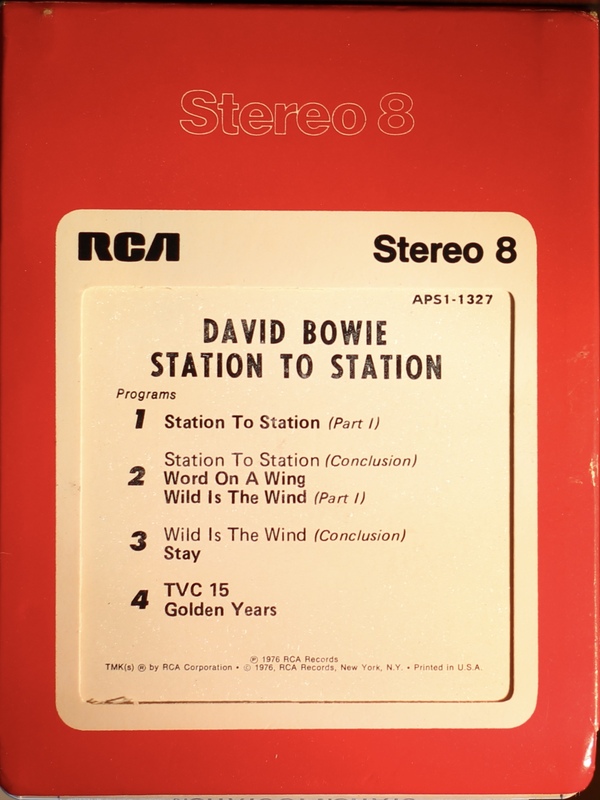 Station To Station; USA; RCA; APS1-1327; 1976. Red box sleeve with white border to cover picture. ‘Stereo 8’ on the top of the front panel and and the top panel and RCA logo on the bottom front panel. The side panels have one Care Information and one blank sides.